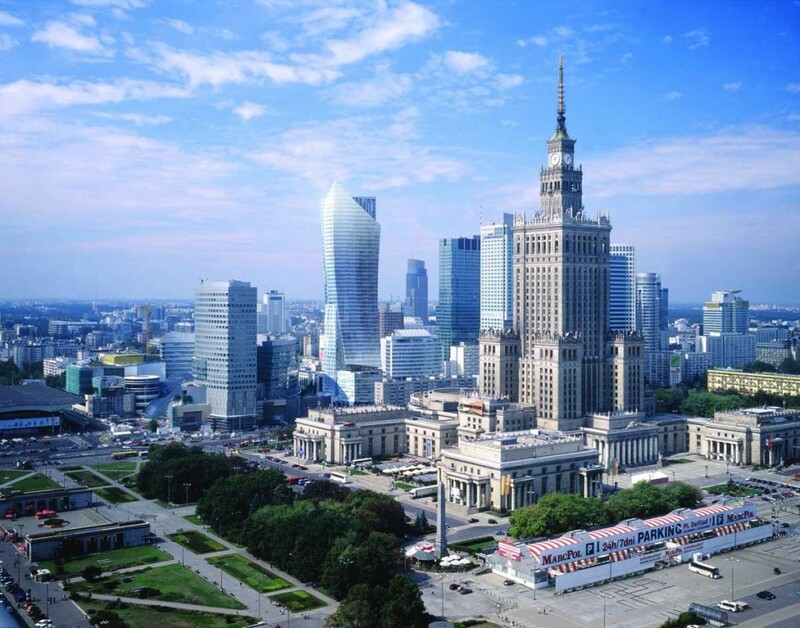 Beautiful Warsaw is the capital und the largest city of Poland, located by the shimmering blue Weichsel, housing approximately 1.7 Mio people. 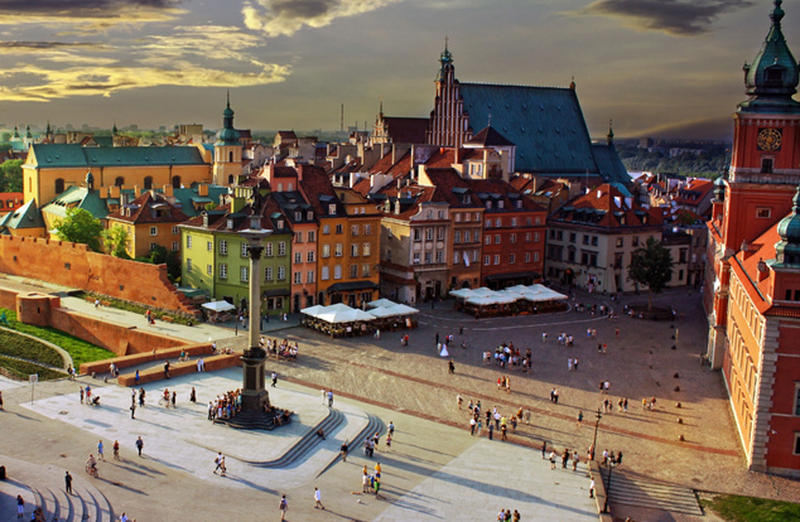 Warsaw is a great city to visit and discover. The beautiful old city centre is on the list of UNESCO World Heritage sites and has a gorgeous marketplace with many elegant restaurants. The Sigismund pillar, erected in the year 1644, is located on the big triangular castle square and is 22 metres high. It offers a fantastic view of the surrounding area and is often used as a starting point for a tour through the city. The south side of the city is guarded by the Krakow gate, of which only the old gothic bridge is preserved. On the east side of the city, the West Facade of the castle, originating in the 14th century, attracts many visitors. Next to the castle, the late Baroque palace under the tin roof is to be found – the first building without a shingle roof in Warsaw. By the same token, the new part of the city attracts many visitors. In the heart of this area, the St. Kasimir church defines the border of the marketplace. The Church of the Visitation of the Most Blessed Virgin Mary is situated in the new part of the city as well, and visible from as far as the opposite riverside of the Weichsel. Warsaw’s public transport system is excellent. 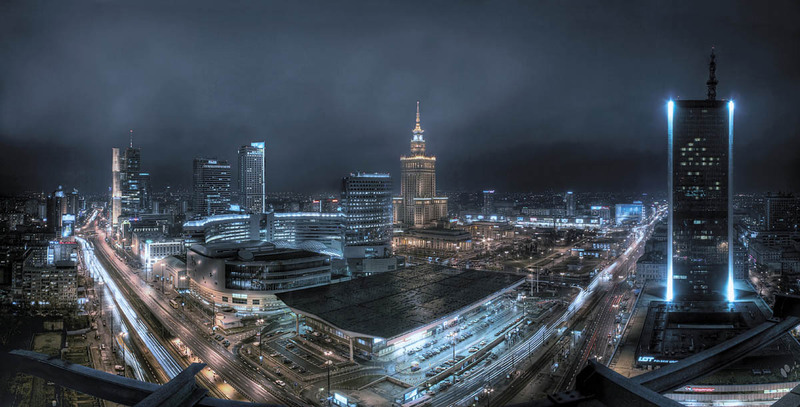 The Chopin airport is the biggest international airport of the region and is located 10 km south of the city centre. The public transport system is well interconnected by trains and busses. 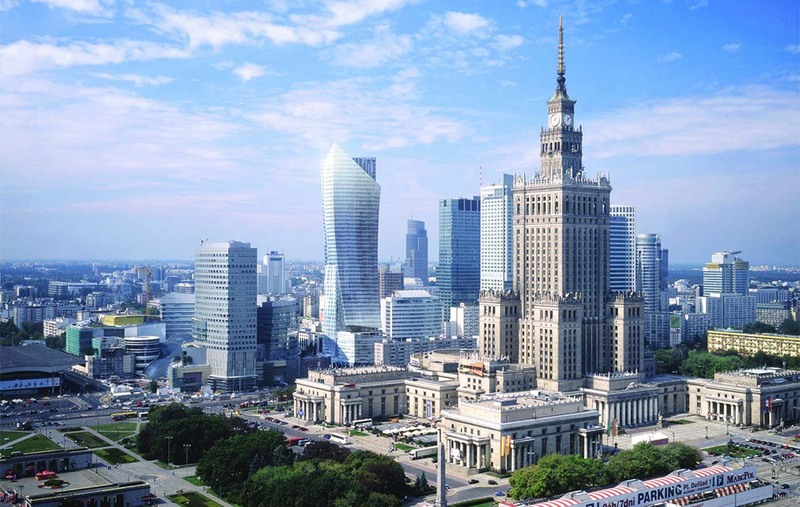 In 1995 the first metro was introduced to Warsaw. The Lazienki park holds annual concerts from May to October, presenting resonating concerts by renowned composers such as Chopin in a luscious setting. Enjoy musical masterpieces by the magnificent composer in the green outdoors.